Hair and Makeup can get pretty expensive now a days especially when you have multiple wedding events in one weekend. Enter our new obsession Prettier Please which will come directly to you for hair and makeup services. Exclusive to NYC they will come wherever you are as long as there is an outlet right now. With prices starting at ($50 for a blow out and $120 for hair and makeup this is ideal for bridesmaids and wedding guests. 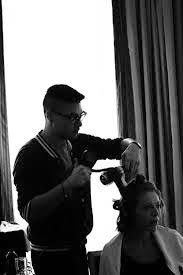 You log into their website and choose a time and date (they are available daily from 5am-10pm), you pay for your services online and a professional stylist shows up to your place with everything they need, just make sure to wash your hair 20min prior to their arrival. It's as simple as that.